Is the U.S too late to the party? Is the U.S. ready to approach the continent with a consistent approach? 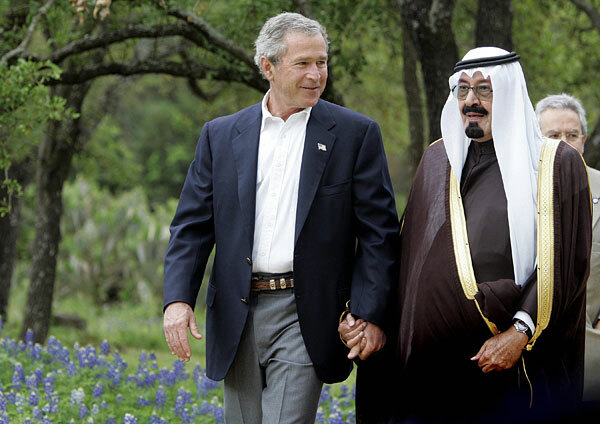 The United States has been partnering with many Middle Eastern countries for several decades in order to satisfy our thirst for oil. With these partnerships we’ve befriended countries that are non-democratic, have a strong distaste for the U.S. to the point where they’ve inflicted violent terrorist attacks on U.S. soil and abroad. These countries and their citizens have made it clear that they like our money, but not us. What the U.S. has missed, is the opportunities in Africa. Many leaders within Africa are extremely interested in building relationships with the U.S., but the U.S. has been extremely resistant. Why? Most likely the United States feels that many African countries have governments that are seen as oppressive and corrupt. However, for some reason this isn’t an issue within the Middle East which is really surprising, to say the least. An example of this inconsistent approach is Equatorial Guinea. Having spent time in the African country of Equatorial Guinea, I’ve found that the U.S. struggles to determine how they would like to approach this country. In democratic and sustainable terms, it would be very difficult for anyone who has studied, analyzed the constant changes of political economic and social spectrum of this country, to find a better democratized country on the continent. What the U.S. needs is to have a group of U.S. members of the congress and entrepreneurs to visit this country and draw their conclusion from their own assessment. Equatorial Guinea has large oil and natural gas reserves, and U.S. companies such as Exxon-Mobil have had a strong presence within the country for years. 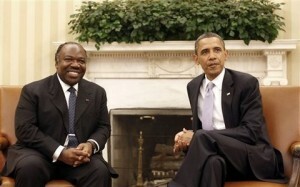 The government of Equatorial Guinea is very interested in building a strong partnership with the U.S. However, The U.S. has not moved on this. Over the past few years, China has forged strong relationships, and is involved in most of the growth of this small countries’ expansion. China is heavily involved in building the infrastructure of Equatorial Guinea, and seeking more partnerships to develop such programs as food and manufacturing. The United States has conflicted views of what to do in Equatorial Guinea. The U.S. would like to invest and support the growth, but feels it’s compromising their beliefs due to unfounded statements that are made about the government of Equatorial Guinea, and appear to be uncomfortable in partnering with a country that has a leader that has been in power for many years. Unfortunately, USA has not taken the time to make a comprehensive analysis considering where the country comes from. It is time for the Western countries to understand that democracy cannot be imported but has to be genuine grown and nurtured from within; and the process takes time. One should remember how long it took Europe to become a democratic Continent. Obiang Nguema Mbasogo, President of the Republic of Equatorial Guinea has been in power for several decades. President Obiang has come under scrutiny over the years for the way in which he has run the country. What the U.S. hasn’t taken into consideration is that the country, from when President Obiang Nguema took power, has gone from one of the poorest countries in the world (in democratic, social and economic terms), to one of the democratically advanced and economically richest per capita country on the Continent. A third world country such as Equatorial Guinea lacks the experience to handle what comes with this new found wealth. The United States should see this as an opportunity to assist and partner with African countries such as Equatorial Guinea while they go through this process. Instead the U.S. has taken the approach that a third world country should have the ability to recognize it’s short comings and build a model country within a timeframe that neither the USA nor any so called developed western country were able to achieve. The result has been lost opportunities. The government of Equatorial Guinea has made great progress within the last three years. The government has built roads, schools, hospitals and many other infrastructure projects with the oil revenue that has been created. One of the most powerful initiatives has been in the agriculture sector. The government of Equatorial Guinea is committed to feed its own people in order to create a foundation for sustainable future growth. The far-reaching and comprehensive Agriculture Program launched by the Minister of State in charge of Agriculture and Forest H.E. Teodoro NGUEMA OBIANG MANGUE, and called “The Green Revolution”, implemented by a US company (MAECI), is being visited by experts from many African countries as a model to be copied. Its objective of achieving food self-sufficiency is being attained, after only 18 months from inception! Some FAO experts have called the program a discovery on how to sustainably and economically reach food self-sufficiency in a developing country. Based on Secretary Clinton’s latest comments, it sounds like the U.S. would like to become more involved in Africa. In order for that to happen, the U.S. must become proactive in assisting African countries in developing the genuine roadmap to their development. We live in an extremely transparent world, with a 24 hour news cycle, which is causing the U.S. to take positions that they feel will protect them politically. By taking this type of position, how does it benefit the U.S.? This forces the United States to sell its population on initiatives through deception, such as how we were sold on the Iraq war, while countries like China are securing their future needs with partnerships they’re creating all over Africa. Many have stated that Africa is the last of the World’s frontiers. If we miss out, where do we go? This past Thursday President Barack Obama met with Gabon’s President Ali Bongo Ondimba to discuss a wide range of multilateral and regional issues. 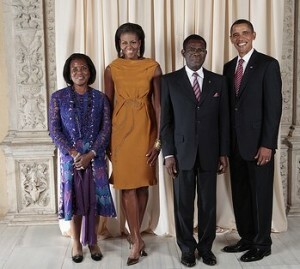 Hopefully this is a sign that the U.S. is starting the process of embracing the African continent. There will be some fallout politically from this type of meeting, but the U.S. must look long term and ignore the short sited political rhetoric.